A night for Bonifacio , English Only Please and Kubot . The Cast, producers and Crew of Bonifacio: Ang Unang Pangulo. PHILIPPINE International Convention Center is full of stars last Dec 27, 2014, where the 40th year of Metro Manila Film Festival awards night is held. It is the night for the movie Bonifacio, Ang Unang Pangulo of Robin Padilla because they bagged eight awards, while the movie English Only, Please got six awards. Here are our photos during the program mostly off cam and during the program proper. 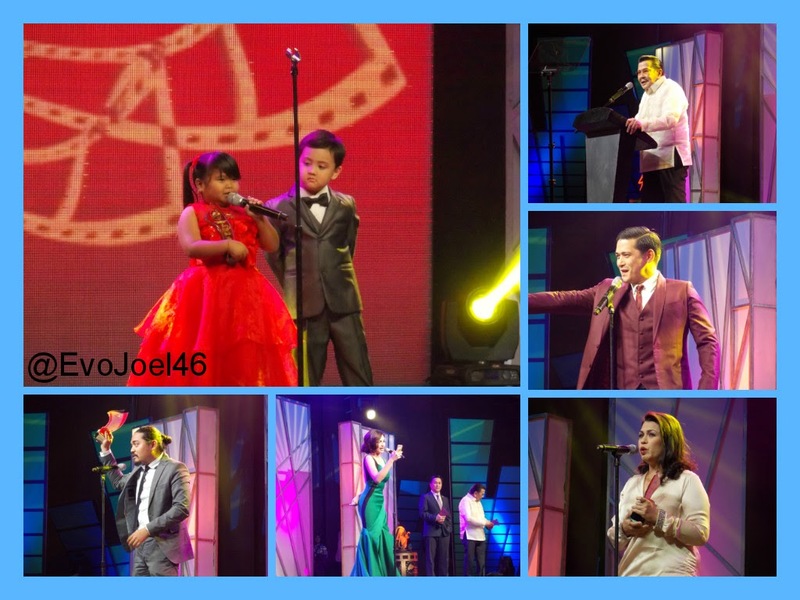 And the winners are... Ryza Mae Dizon with Alonzo Muhlach, Manila Mayor Joseph Erap Estrada, Robin Padilla, Best Supporing Actress Lotlot DeLeon, Best Actress Jennylyn Mercado and Best Director Dan Villegas. Your presentors,,, Antonette Taus, Arci Munoz, Richard Yap, Jennylyn Mercado and Carla Avellana. Arci Munoz with Mon Confiado, Antonette, Richard and Lotlot. Binoi and Vina of Bonifacio: Ang Unang Pangulo. Father and Son, Rommel and Daniel Padilla. MMDA Chairman Francis Tolentino and Mayor Erap of Manila. Direk Chito Rono and Coco Martin of Feng Shui 2. ER Ejercito, Robin and Pagsanjan Mayor Maite Ejercito. Congrats to Palawenyo Producer Edgar Mangahas(Middle), MJM Productions for the award of EOP. Song Number from Vina Morales, Robert Xena and Isay Alvarez. Your host for tonight, Edu Manzano and Kris Aquino. Special thanks to Sir Ymmanuel and his group for inviting me to cover the event.